Tell people who are transitioning to new careers about NewCraft! The craftspeople who leave long-lasting legacies will be those who not only grow their craft, network and opportunities but those who share all three with rising talent. This is how we progress, it’s how we’ve always progressed. Let’s go back to 1470 in Florence, Italy. A young boy named Leonardo da Vinci is walking to an artist’s studio, Verrocchio’s Workshop, for his apprenticeship. He’s spent the last 3 years working with and learning from Verrochio. He learned to prepare pigments and canvases, he drew studies of Verrocchio’s work and other models. The workshop provided a space and a network designed to accelerate Leonardo’s craft. Verrocchio had studied under the great artist, Donatello, and was a contractor for the Medici Family. In addition to training, both Donatello and Verrocchio shared work opportunities with the apprentices studying under them. This is how work and education lived together over 550 years ago, and it was the heartbeat of the Renaissance. How does a Leonardo find a Verrochio in 2019? Building a network is crucial to success and it is 100% about trust. 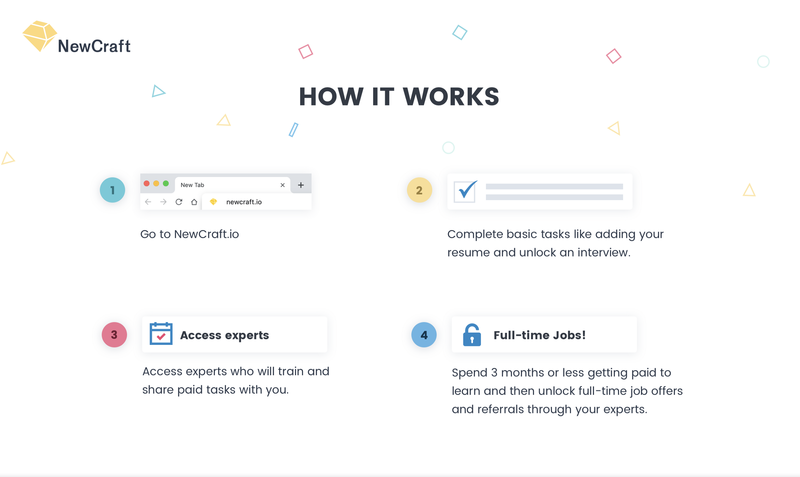 With NewCraft, users earn trust by completing real paid tasks at a high-level. It’s easier than ever to access theory online but difficult to access practical expertise. There are so many brilliant people who have 75% of the requirements they need to unlock a full-time job, they are only missing practical work experience. NewCraft delivers this online and on-demand. Expertise and networks are significantly harder to build while hungry. So, we pay our members at least $20/hr while they are building both. People often work temporary jobs while working towards their long-term dream job. Now, you can get paid to start your dream job immediately. After a user has established a network, expertise and has enough capital to survive, they leverage all three to patiently find the right job opportunity. This means asking people in the network to refer them to new opportunities and people. There are few credentials stronger than having a respected expert vouch for you. 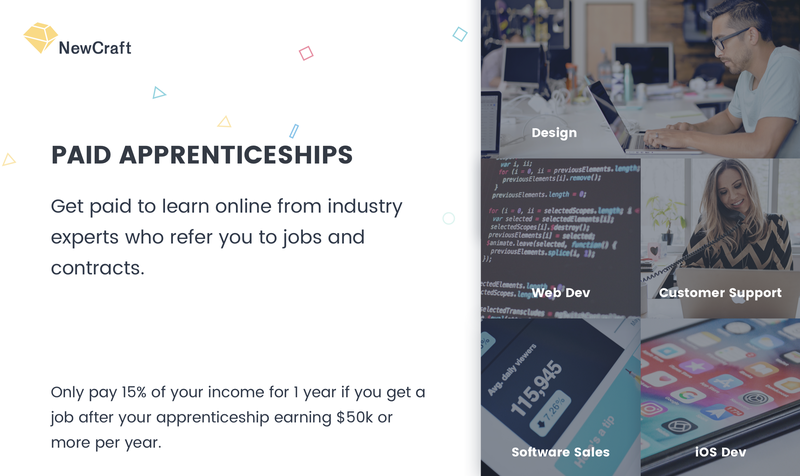 NewCraft doesn’t stop after your apprenticeship. We’re here to support you at every salary negotiation, job search, promotion or transition of your career. After teaching HS students computer information systems for 3 years, I realized that labor market inefficiency and opportunity gaps are just distribution problems. In the middle of talent and paid work, we’ve inserted this daunting process of jumping through as many hoops as possible to prove you aren’t a bad hire and after it all, your application just gets stuck in a folder with 200 others. 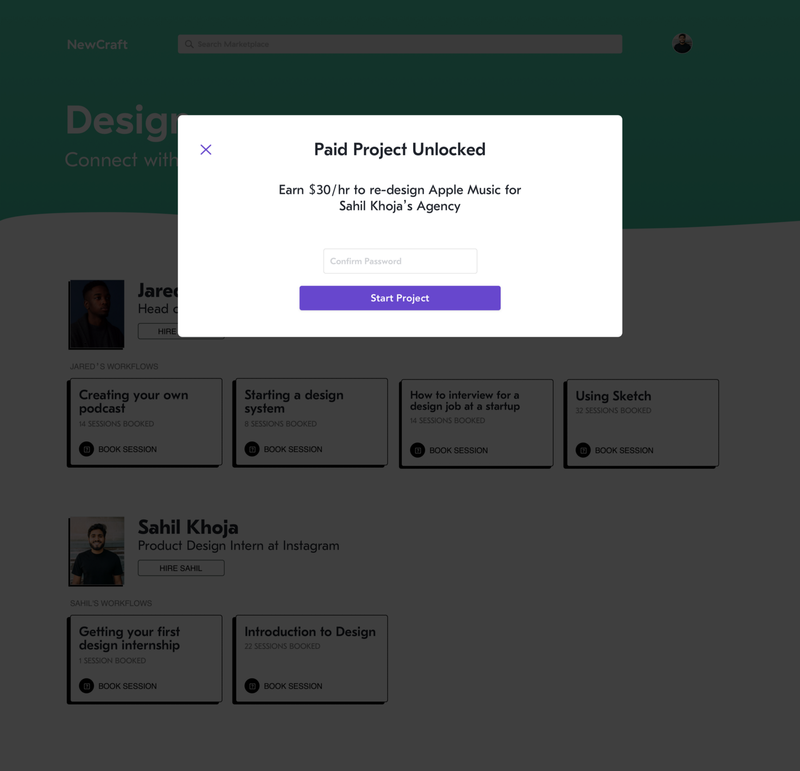 There just has to be a better way and we think a website where you can press a button to unlock paid tasks, interviews, expertise and job referrals is a good place to start. Job applications are largely are a formality, the world runs on referrals. 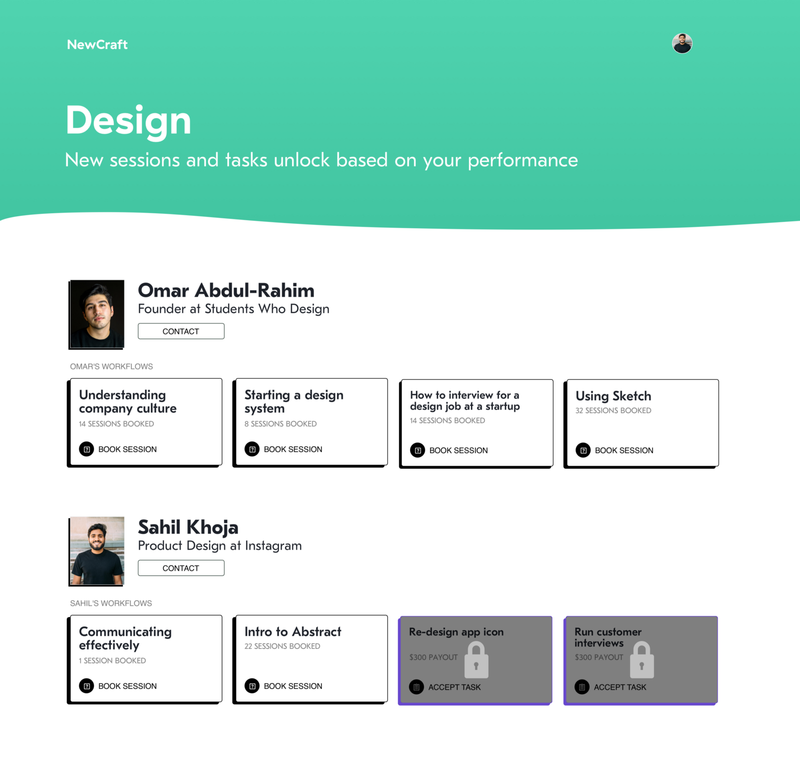 Visit NewCraft.io or shoot me an email at Cam@NewCraft.io for more info.